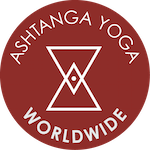 Ashtanga Yoga Worldwide is offering a series of courses that give a rare, in-depth opportunity to refine your practice and skills as a student and teacher. In order to truly integrate the experience it will take place over the course of a full year of study with two breaks from the classroom for self study. We offer options for different students with varying levels of experience and interest. We will determine the start date and schedule for meetings once all applications have been accepted. The program will begin in the beginning of December. The program is built upon daily practice and time spent assisting in the classroom. Additionally, you will have reading and writing assignments and discussions, workshop sessions to work on teaching skills in a workshop format, and mentoring sessions. As with a traditional apprenticeship, the curriculum will be adjusted as necessary to meet the individual needs of each student. This program is best suited for those who have completed a 200 hr training or have some teaching experience and want to refine their skills and understanding of the practice and theory of the Ashtanga Yoga method. This program accepts a maximum of 4 apprentices to help assure adequate attention to each apprentices development. 3 payments of $1750 each ($5250) 2nd payment due Mar 1st, 3rd payment due Jun 1st. This course will follow the development of Yogic thought through the ages with a special emphasis on how it informs Yoga as practice in a modern context. This course will help you contemplate and evaluate your relationship to your practice, and the context and theories from which practice arises. We will be attempting to discover our own biases as well as the cultural and historical biases implicit in Yoga theory. This course is for students interested in a critical review of the history and literature associated with modern yoga practice. This course requires in depth reading, lecture and discussion, critical thinking, writing assignments. Class participation in discussions is strongly encouraged.